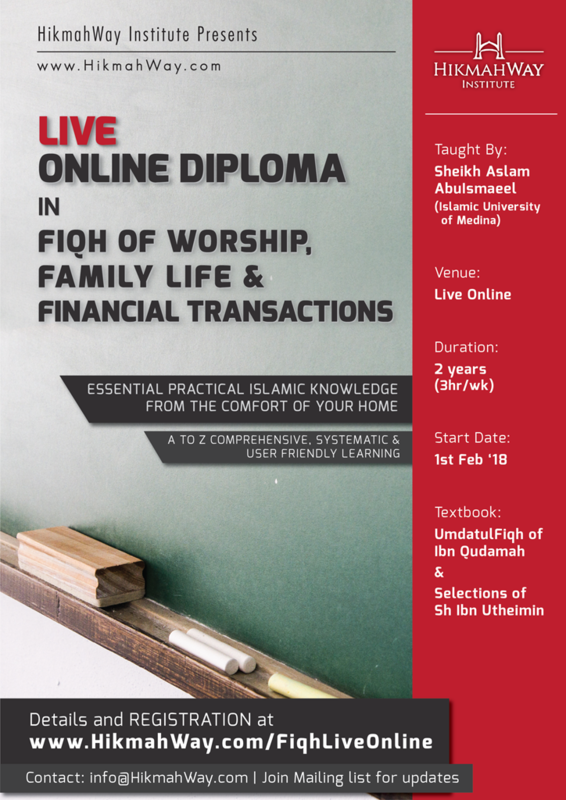 Learn all the chapters of fiqh related to our Lives including Taharah, Prayers & everything related to it, fasting, zakah, Hajj, Halal foods and Drinks, Fiqh of Marriage, Divorce, Family life and Parenting, Fiqh of Financial transaction, fiqh of classical and modern financial transaction. Each Thursday one subject will be taught for 1.5 hours and afterwards another subject will be taught for 1.5 hours. Each topic will last one school term duration. Over the course of 2 years you will be able to complete the diploma in fiqh of worship, family life and financial transaction.